I’ve been familiar for some time with the small German-speaking community in Texas, centered around towns in the Texas Hill Country, particularly Fredericksburg and New Braunfels (home to a very nice German restaurant). Unfortunately, the Texasdeutsch dialect is dying out. The clip below describes the dialect – note the opening scene in the wonderfully named town of Weimar. But apparently, Norwegians in Texas are doing fine, according to a recent article in The Guardian, about Clifton, the “Norwegian Capital of Texas”, although it’s not evident that the Norwegian language has survived there. 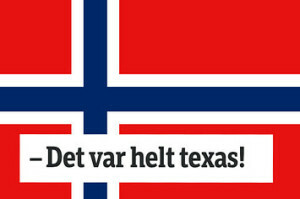 [The use of texas] became part of the language when Norwegians started watching cowboy movies and reading Western literature, according to Daniel Gusfre Ims, the head of the advisory service at the Language Council of Norway. ‘The genre was extremely popular in Norway, and a lot of it featured Texas, so the word became a symbol of something lawless and without control,’ he says. Ims mentions in the interview that Texas is not the only US state that is used in this kind of metonymy (a thing or concept being called not by its own name, but by another name which is associated with it): “Norwegians also use the term ‘hawaii football’ to describe an ‘out-of-control’ match”. The Guardian actually asked people in Clifton if they had heard of the “texas” adjective use in Norwegian – no one had. 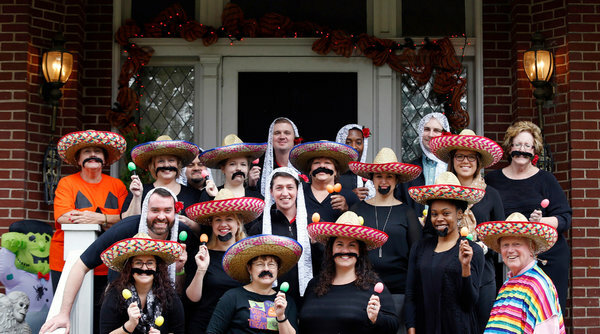 This year, we seem afraid that college students are unable to decide how to dress themselves on Halloween. I don’t wish to trivialize genuine concerns about cultural and personal representation, and other challenges to our lived experience in a plural community. I know that many decent people have proposed guidelines on Halloween costumes from a spirit of avoiding hurt and offense. I laud those goals, in theory, as most of us do. But in practice, I wonder if we should reflect more transparently, as a community, on the consequences of an institutional (bureaucratic and administrative) exercise of implied control over college students. 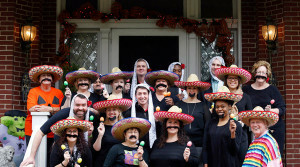 The idea, advocated here, for Yale students to decide issues of appropriateness of costumes for themselves, was met with a storm of protest from Yale students, with one encounter (with Christakis’ husband, also a faculty member) being captured on video. The Atlantic today has a long article about the controversy. One of the points made there is that the students’ strong reaction to Christakis’ email was likely not just caused by the email, but came from feelings of many minority students at Yale that racism was prevalent on campus. A NY Times article details some recent incidents. The tension between free speech and cultural insensitivity is something that many US universities have struggled with, for example in creating “speech codes” which limit certain kinds of speech. It’s not just college campuses either. The NY times ran a piece recently on fashion asking “Does anyone own the cornrow?”, a hair style associated with black women, but one that has become popular with young white women as well. The case of Rachel Dolezal (the white woman who until recently claimed to be black) also has raised interesting questions of identity formation – is it offensive for someone to try to look black because she feels black and identifies more with African-Americans?